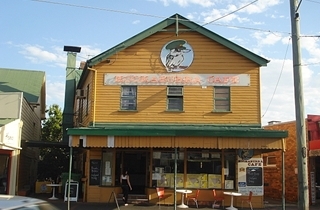 The Kookaburra Cafe is a Brisbane landmark and very popular with locals and tourists alike. 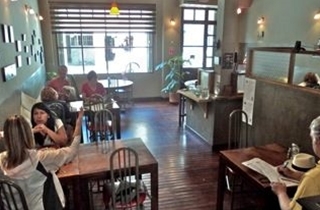 Situated in the inner Brisbane suburb of Paddington, it combines good food and value with ambience and architecture from a past era. With gardens and courtyard for up to 100, private rooms for 10 - 50, fully licensed, dine-in, takeaway or home delivery, this is a restaurant that has it all. Enjoy casual outdoor dining in any weather in our spectacular covered courtyard. 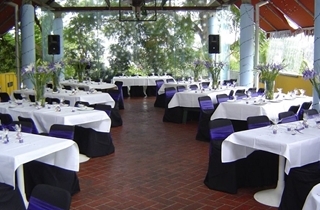 Capable of catering for 100 guests the courtyard is an excellent venue for large functions, and with tables arranged to suit your needs any sized group can be well looked after for your next function or party. During the cooler evenings of the year we enclose the area using clear tarpaulins and turn up the heat with large heaters, perfect for an otherwise chilly winters eve. Hot and cold menu. Available in the courtyard or private rooms. Served on platters as separate courses. 3 courses to choose from.